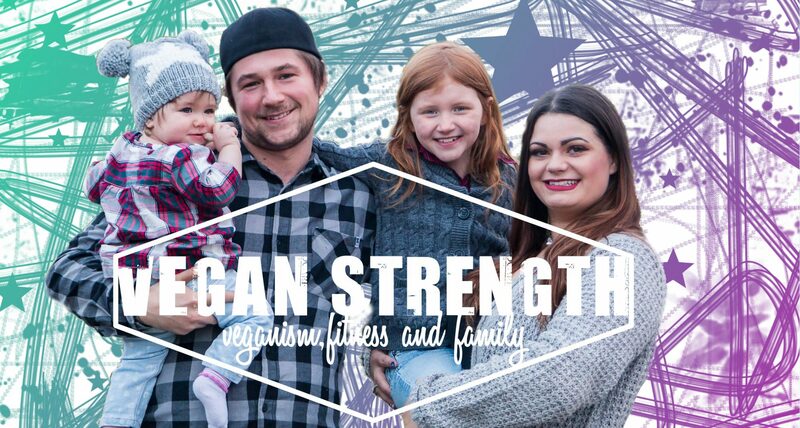 VEGAN STRENGTH – join us as we revolutionize our lives through veganism and fitness! Dustin and Micca are a vegan couple who live in Winnipeg, Canada. They have 2 children Aubrey,7 and Harlynn,1 and 3 fur babies Lady,Marlee and Patches. The couple made the decision to change their lives for the better in October of 2016 after watching Forks over knifes and Earthlings. As well as dealing with cancer diagnosis in our family, this pushed us to explore further the health implications of diet and lifestyle. In December of 2016 they decided to start a youtube channel/blog to document their lifestyle change towards very different personal health goals. Micca to lose the baby weight (and some haha) and Dustin make as many huge vegan gainzzz as possible ! 🙂 While making delicious meals both our kids enjoy! We hope you enjoy getting to know us and the experience of going vegan! !